Sir, Is there a way to trace a phone using an android smartphone based on its IMEI number? Reto- absolutely loving your book! I'm coming from a Python background and having a little fight with Eclipse on my way through the first exercises in Chapter 4. I thought the best thing to do was to look for help in stackoverflow.com, and you obviously think so too. Slight problem with using the PA4AD tag though - it doesn't exist yet, and you need a reputation > 1500 to add a new tag (mine is a stately 0, I see yours is 50). I suspect the moderators will allow you to add it if you ask nicely? This is very inspiring, as getting from the start & Having no real background in programming (aside from making some adventures on ZX-81 and MSX), I want to get started on developing something for my own Android based eBook reader and android app development training even this online course seems to be interesting http://www.wiziq.com/course/13599-professional-android-app-development-training-1-on-1-sessions. Has anyone tried any online courses so far. Please do provide a light on this also. Thankyou for all the info also. Still is this available? Got more valuable information here. 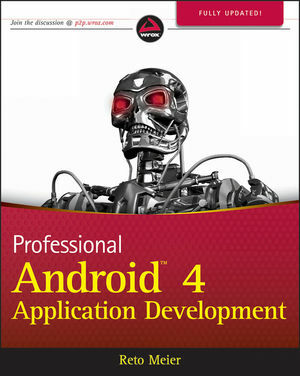 Will forward the same to our Los Angeles android app developers to avail this. 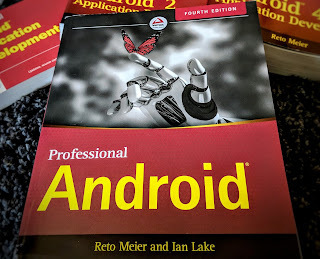 I think this is one of the best book I have overcome through to know something on Android, I have learned a lot through this book without wasting my time. Good examples are covered to which it was easy to deal with.